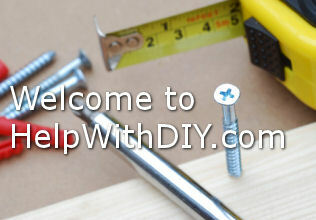 This is the right place to come if DIY is a hobby of yours or if you just like to complete tasks around the home yourself and need a few pointers. We offer you a step-by-step guide on how to complete each task which is complemented by simple diagrams and appropriate calculations or formulae that you may require. Our current guides include how to paint walls, hang wallpaper, put up a bookshelf, tile a wall and lots more. We value your feedback, if you have any suggestions or comments please use the contact us link at the bottom of any page. In our decorating tips section, we look at various topics related to decorating such as cross lining a wall or ceiling - both very important tasks that are often missed out or avoided - hanging wallpaper, and putting up a shelf, to name but a few. As well as helping you with calculations, so that you don't buy too much of a product (or too little), we give you a list of tools and other items that you will need for each task, so that you know exactly what you require before you actually get started. There is nothing worse than half-completing a task and then realising you haven't got a certain item, which means pausing what you are doing, often losing momentum, and having to go out and purchase the missing item. Our simple diagrams that accompany the detailed information that we offer you are easy to follow and give you an idea of how each step should look as you go. Metric Conversion is a subject that can come up time and time again in DIY. For this reason, we decided to include a basic guide to metric conversion, along with a metric conversion calculator. Using our calculator you will no longer have to make estimations nor make any errors when working out your figures. Our metric calculator will enable you to work out calculations for area, weight, length and volume, converting square inches, feet and yards to square centimetres and metres and vice versa, as well as inches, feet, yards, and miles to metres and kilometres; and cubic inches, feet, fluid ounces, pints and gallons to cubic centimetres, metres, millilitres, and litres. Giving a wall, ceiling, door, or a whole room a lick of paint can completely transform it, and, depending on the colours used, can brighten, lighten, and even make a room look bigger, smaller, more welcoming, and more homely. Painting is one of the easiest yet most satisfying and rewarding DIY tasks, and can also be one of the most creative. In this section of the site we offer you step-by-step guides through the complete process of painting starting from preparing the area before painting right the way through to applying the final coat. In this section you will also find information on how to paint ceramic tiles and wooden interior panel doors. Plumbing around the home can involve numerous tasks. Some, such as fixing a leaking tap or unblocking a sink are simple procedures, whilst others, including plumbing a washing machine and draining and filling an open-vented heating system require slightly more skill and technical knowledge. This plumbing tips section will guide you through each task offering you handy advice along the way. Carrying out a number of simple plumbing tasks in your home will often save you a lot of unwanted expense from having to call out a professional. Topics in this section of the site include cleaning a drain, plumbing a washing machine, and draining and filling a radiator. Ceramic tiles are usually reserved for the bathroom or kitchen, although in warmer climates they are suited for the floor as well. They can brighten up any clear wall space and give any bathroom or kitchen vitality and character. In this section of the site we guide you through the procedure of putting up tiles, right the way through from cleaning and preparing the surface where the tiles will fit to laying the first tile and completing the job. We also offer you handy hints on how to replace broken tiles and how to cut around pipes in the kitchen or bathroom.